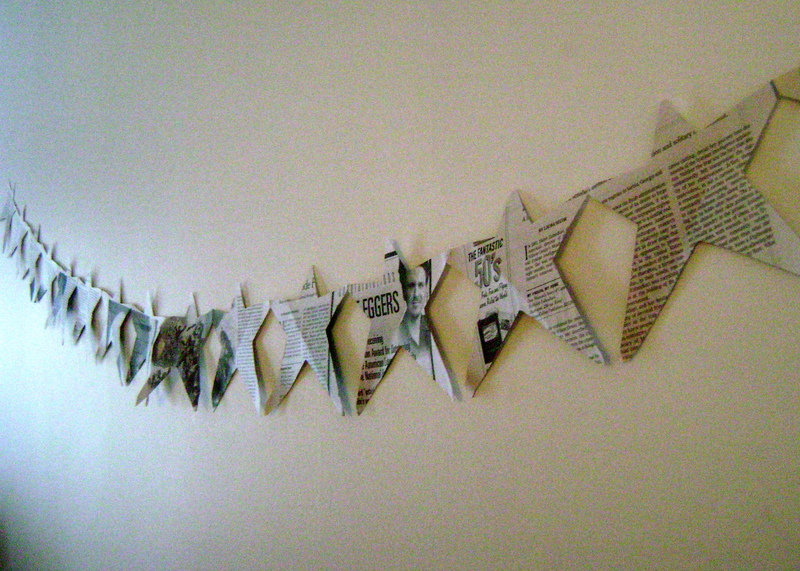 One relativly inexpensive way to decorate is to put together some paper garlands. 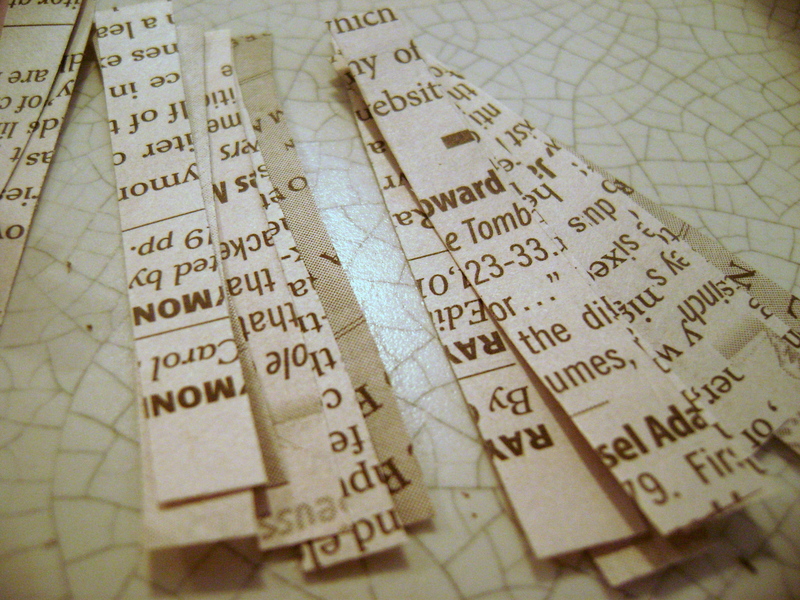 Almost any paper will do, you could even use newspaper like i did for this dainty newsprint garland. That’s it! You can stay super basic or get really creative and get super complicated. Its all about how ambitious you feel. 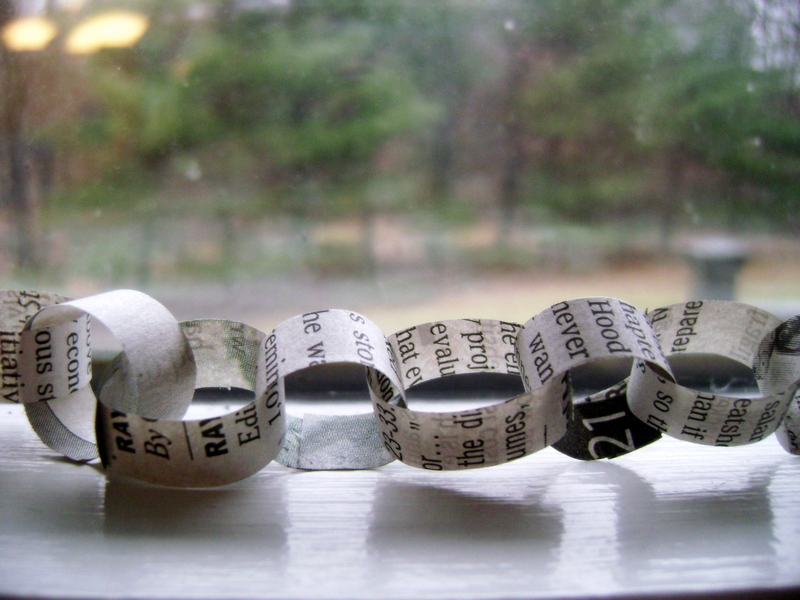 The simplest garland can be put together by linking loops of paper together to form a chain. I’m sure you all did this at one time or another as a kid. Think solid colors; like a frosty white, christmasy red and green. Or go monochrome; four or five different shades of red maybe. It would also be very pretty made out of a delicate silver or gold tissue paper. Consider the scale. Do you want a tiny delicate chain? Or big whimsical loops? Is it for a tree, to be draped across a mantel or down a stair case? 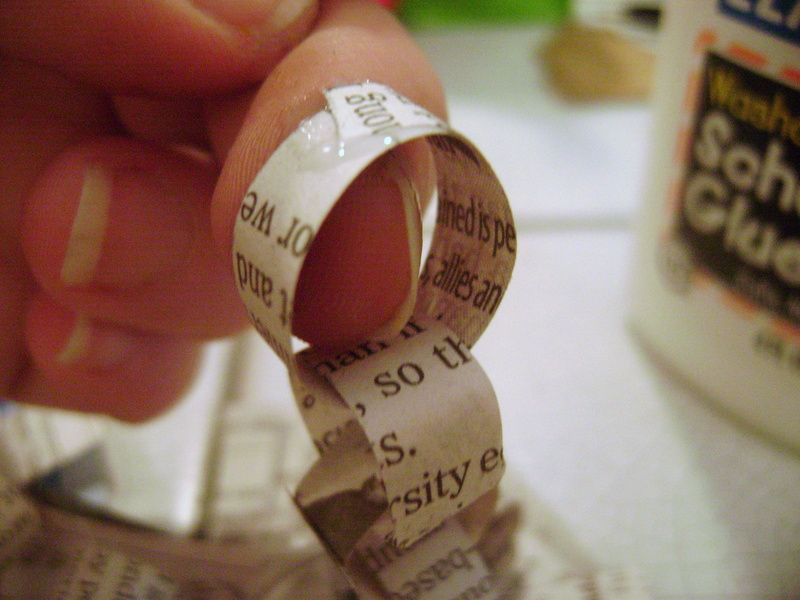 Make a loops, use a teeny bit of glue and press. 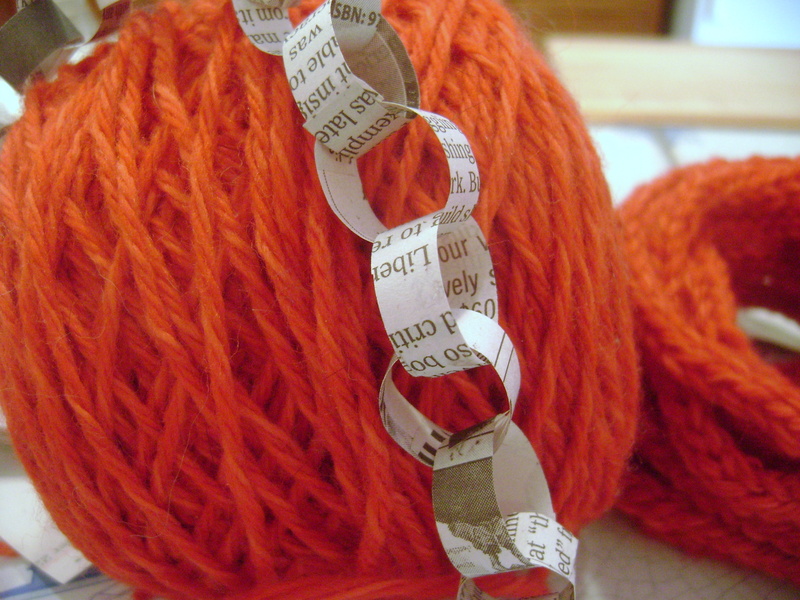 Now thread a new strip through the loop and repeat. 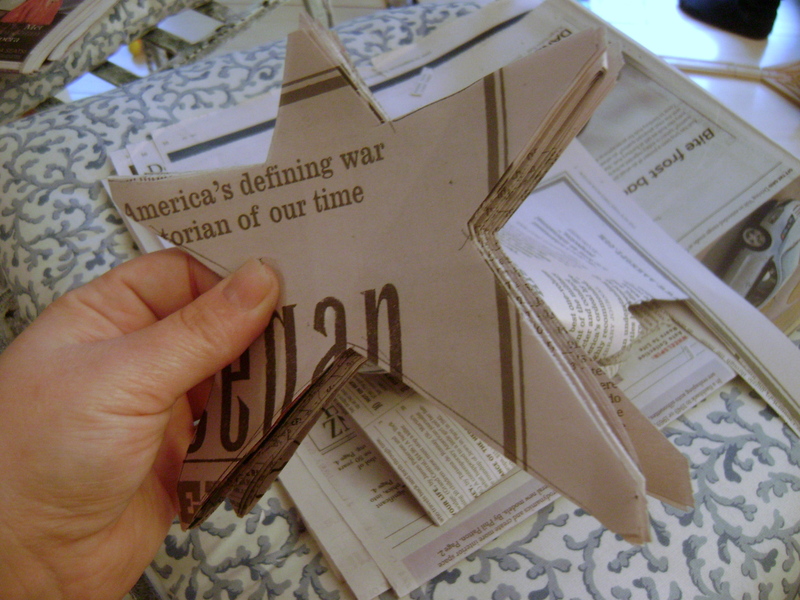 To make things a little more exciting you can make a template out of some stiff paper or card stock, fold your garland paper into an accordian, the width of your template will determine where the folds go. 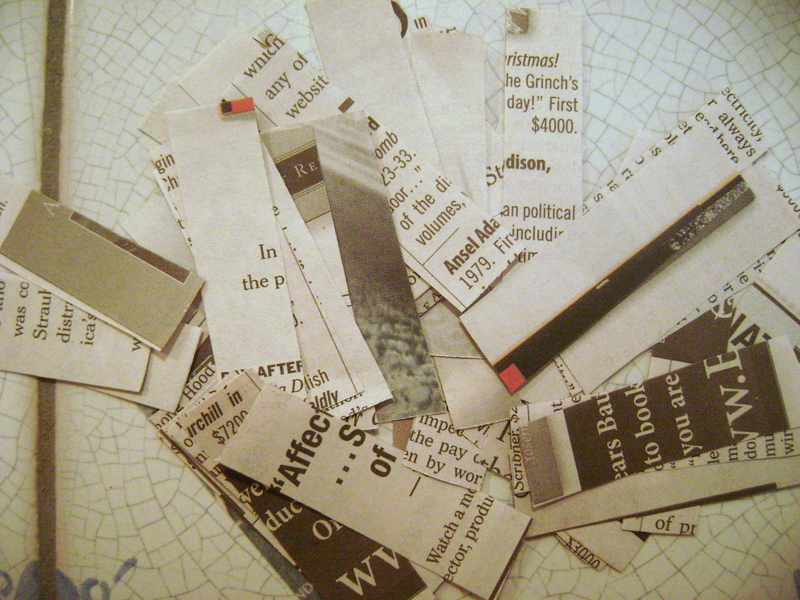 Trace around the template and cut out. Connect the strips of cut garland with tape or glue to make a long chain. I made mine with a star shape. 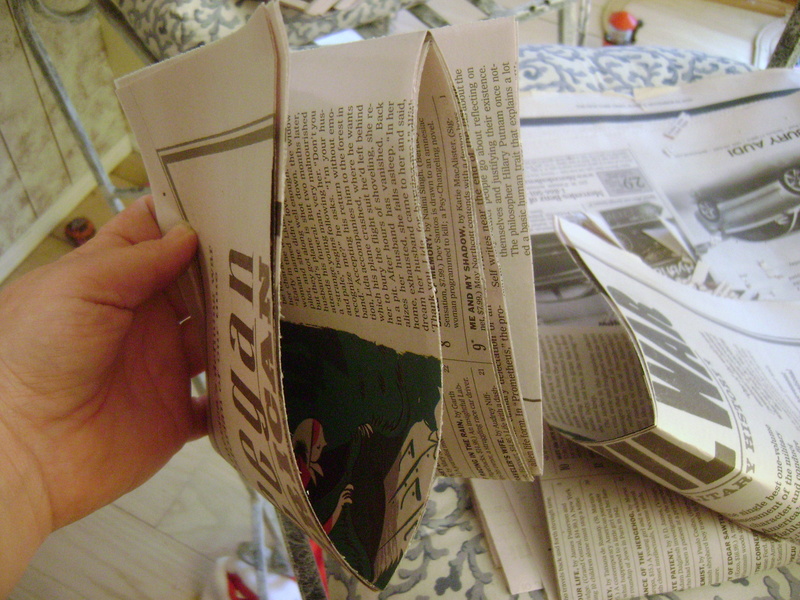 fold it accordian style, and make sure you leave a join on the folded edges. 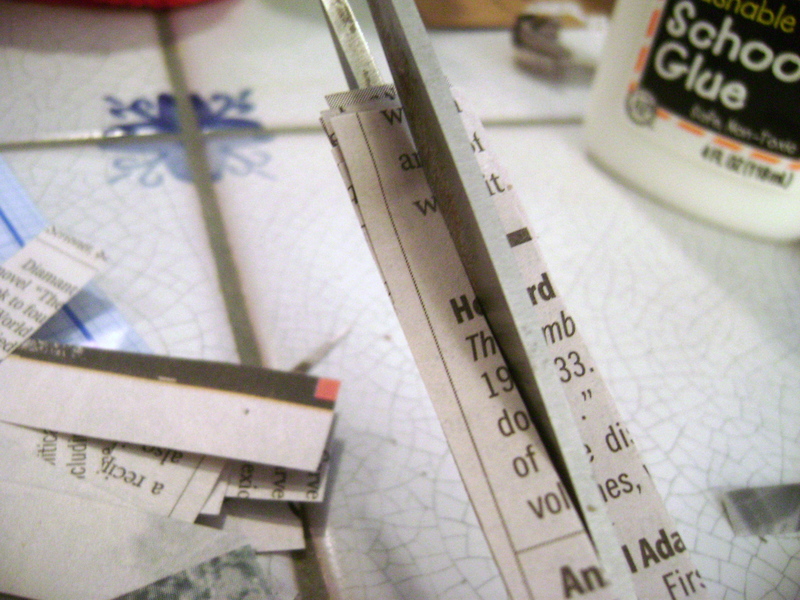 join the open edges with glue and hang it up! You can make rows of wintery houses for a charming village, dancing ladies, snowflakes… whatever your holiday heart desires.